Create strong customer relationships. Make your customer the center of attention and respond to their questions around the clock. Giving your customer the most relevant answers can help expedite the conversion rate and optimize on up selling and cross selling opportunities. Our cutting-edge technology enables Lia to understand your customers’ needs and provide the most relevant packages through the chat. Lia's framework is incorporated with inbuilt high-level Artificial Intelligence (AI). This makes her more human-like, and capable of handling semantics and advanced dialog. Lia is a smart way of presenting efficient and rich information (links, picture, call to action buttons etc.) in an interactive chat interface. Rather than just keyword-level parsing used by most publicly available cloud services, Lia's natural language engine understands the context of the conversation, and chats accordingly while drawing information from our in-house global knowledge sense, to provide the appropriate answer. Integrating all tools with semantic-aware AI lets us deliver better conversion, better customer relationships, better information to the users, reduced waiting times for support, and increased chances of revenue at reduced cost of operating with human agents. 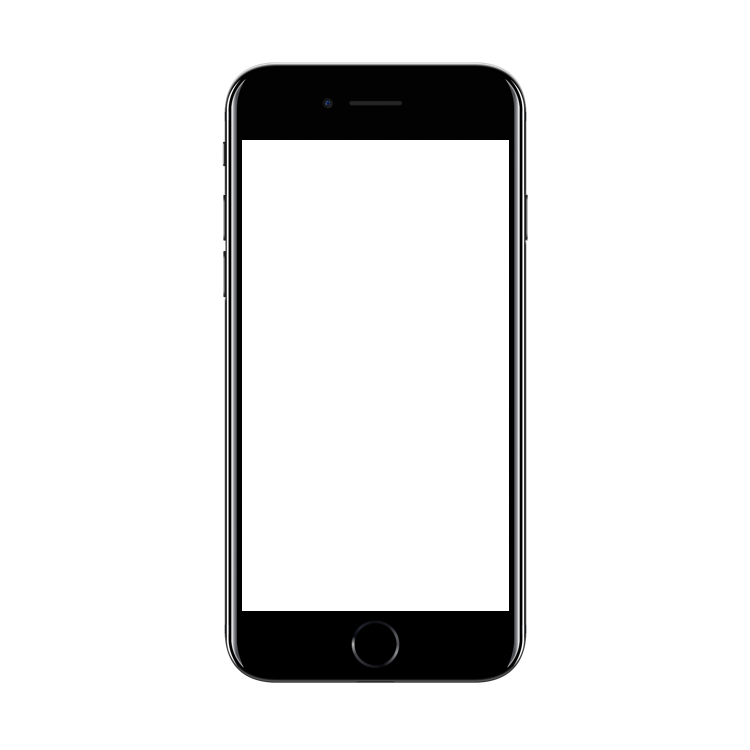 Lia is equipped with voice support that allows the customer to talk freely to the bot and obtain information on the go. Customers can chat in their own language and obtain relevant responses to their queries. An inbuilt search engine which directly connects to your booking APIs to present an optimized search result. With Lia’s flexible interface it can be easily plugged into your system. Visualize your data, filter and get a deeper understanding into your customers queries through our analytics dashboard. Lia's NLP engine is independent and can be easily deployed in any server, you do not have to rely on any third party cloud service. 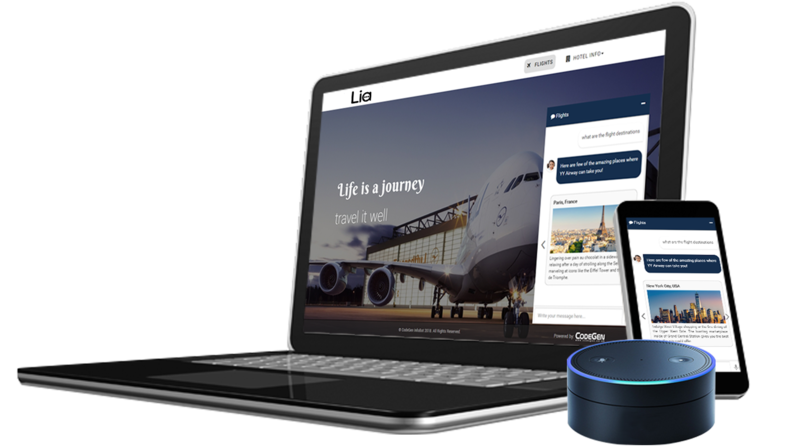 Lia is intelligent enough to handover conversation to humans when required where they could carry on from where the bot left off. Optimize your social media reach and enhance your customer base through a simple integration. 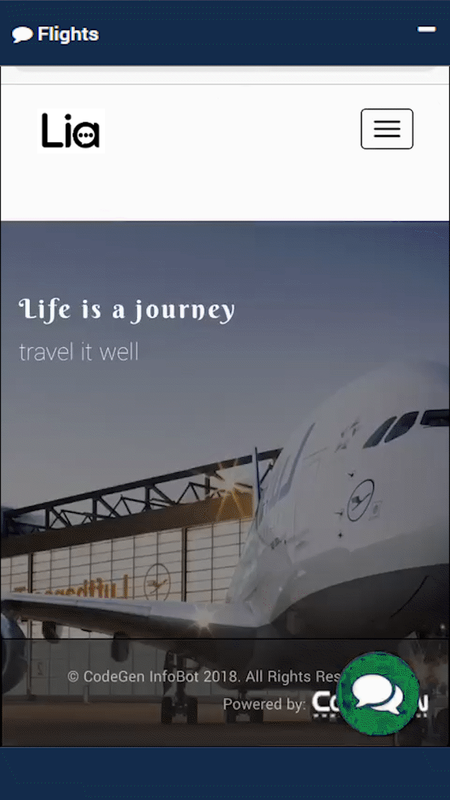 CodeGen is a respected technology provider of the “next generation” ensuring end-to-end travel software solutions and reservation systems for the global travel and tourism industry. With offices spanning in 3 continents and more than 15 years of experience the company aims at crafting high quality products to all customers. 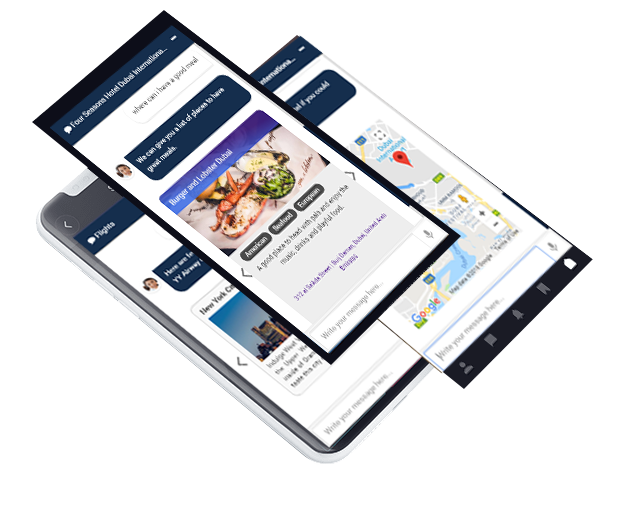 CodeGen is acclaimed in delivering innovative, fully scalable and high-performance solutions to many of the world’s largest travel organizations, which includes Tour Operators, Airlines, Bed Banks, Cruise companies, DMC’s and OTA’s. Our research team is a group of open minded and diverse experts who aspire to break barriers and broaden the horizons of software industry with state-of-the-art technology including Artificial Intelligence, Machine Learning, Data Mining, Natural Language Processing, and Optimization. Our premier goal is to seek new technological approaches to address problems with creative ICT solutions and we strongly believe that diversity enriches creativity. For inquires please fill out this form and our team will get in touch with you shortly. CodeGen Ltd Knowledge Dock Business Centre, 4 University Way, London E16 2RD, United Kingdom.